Is ADS Security worth the high price? Our 2018 ADS Security Reviews tell the story. Find out if an ADS Alarm is right for you. If you are thinking about an ADS Smart security system, you need to check out customer ADS Security Reviews. Online ADS Security Reviews reveal many concerns with the length of the contract and early termination fees. Our ADS Home Security review summary and detailed editor’s reviews are followed by the customer ADS Security Reviews and a FAQ section in which we compare ADS Security with some of our top rated alarm companies. If you currently have an ADS Security system, we hope you will share your experience with our readers below. Current ADS Alarm Customer? Leave Your Review! Potential ADS Home Security customer or current ADS Alarm owner? Thinking about protecting your household with and ADS Alarm system? Perhaps you are an ADS Security system user and are looking to post or read ADS Security Reviews. Or maybe you are trying to find more information with regards to your ADS Alarm System. The Home Security Advisor is intended to be a complete research aid to help you find the solutions you need to make informed selections about home security. To help you quickly access specific information about ADS Home Security along with a few of the most widely used security service providers, take a look at the handy table of contents, with “quick jump” links to help you navigate right to the actual areas that are most important to suit your needs. A reputable,but somewhat pricey locally serviced security company. See how ADS compares with the competition! ADS Security was founded in 1990 and is headquartered in Nashville, Tennessee. They currently provide service to about 75,000 homes and businesses across the Southeast. A full service security company, they offer burglary, fire, home automation video surveillance and access control services. Currently, they provide service in Alabama, Florida, Georgia, Tennessee, South Carolina, Mississippi and Kentucky. ADS ranks #25 in the SDM Top 100 and has an A+ BBB rating. ADS offer their customer base UL Listed, CSAA Five Diamond Certified monitoring. This is the highest distinction offered to monitoring centers, which is awarded to less than 5% of all security monitoring service providers. ADS interactive monitoring packages start at a rather hefty $42.95 and require a 5-year monitoring contract (3-year contracts are reported to now be available…make sure to confirm that you get a 36-month contract)- which is at the higher end of the alarm monitoring spectrum. While there is a complete lack of pricing transparency on the website, we have been informed that plans start as low as $28.99 for the most basic service. This is in all likelihood landline service…which can easily be defeated by intruders by cutting the phone line. Additionally, it would not include their App or the ability to control the system remotely. The plans listed below include interactive service capability, provided through a proprietary ADS mobile application- ADS Aniware. This interactive application enables you to watch live video, arm and disarm your security and control installed home automation components. One of the more advanced features is the ability to control water shut off valves remotely- or even automatically if an integrated water sensor is triggered. 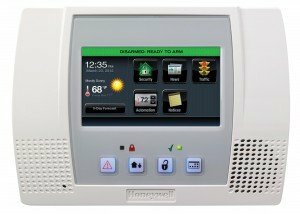 ADS Security is a Honeywell Authorized Dealer and typically installs the award-winning Lynx Touch 5200 control panel. This is a robust full-featured touchscreen control panel which can be equipped with Cellular and Z-wave capabilities and a single, self-contained unit. There is a full complement of Honeywell components available for system integration to enable intrusion, life safety, environmental, home automation, and video surveillance capabilities. ADS offers a $300 equipment and installation discount with any of their packages…with the minimum upfront installation charge of $249. With only 16 complaints filed over the last 3 years, ADS has earned an A+ BBB rating. Considering the fact that they required a 5-year contract, this is indicative that they take the necessary steps to resolve serious customer complaints and issues before they are filed with the BBB. Most negative online feedback centers around the difficulties in canceling the service and the hefty costs associated with canceling the service. In the event that service is discontinued, the customer is responsible for 75% of the remaining contractual term. With a 60 month contract….this can be a substantial amount of money. ADS Security offers a quality home security system, with professional local installation throughout much of the southeastern United States. They have an A+ BBB rating and seem to experience relatively few serious complaints. However, they demand a substantial premium for their products and services. Interactive monitoring services start at $42.95 and may require a 5 Year Contract. The initial costs are also well above industry average…with a basic system installation fee that starts at $249…with add-on costs that run significantly higher than our top recommended home security companies. If you reside outside the service area and/or are looking for the best values in home security, I would highly recommend that you check out our Top Alarm Companies, before making a decision. ADS is an authorized Honeywell dealer and offers the latest line up of Honeywell products. The Lynx 5200 is a touchscreen panel which accomodates up to 40 zones and can incorporate an internal cellular communication chip as well as a Z-wave communication module to support a full complement of home automation components. 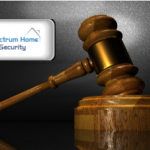 How does ADS Home Security stand up to the competition? If you reside in one of the 7 southeast states serviced by ADS and are looking for a professionally installed alternative to an ADT, Monitronics or Vivint security syststem, they are a good option. You can see where they stand on our Top 5 Rated Alarm Companies or in the side by side comparison summaries, below. So how does the ADS Alarm company compare with Vivint? When purchasing an ADS Alarm system, be prepared to sign a 60-month monitoring contract with fairly hefty start-up costs and relatively high monthly monitoring rates. Vivint rates are not cheap, but they are competitive. To make equipment affordable for everyone they offer their Flexpay option. Vivint customers can either pay for the equipment up front or they can opt to pay for the equipment over 42-60 months with 0% interest. If you purchase the Vivint equipment outright…there is no monitoring contract required! Before getting an ADS Alarm consult our ADS Security Reviews, and then call in to find out how they compare with Vivint. Despite the fact that our Best Security Systems of 2017 is dominated by DIY Alarm Companies, if you are looking for a quality professionally installed home security system, an ADT monitored system should be on your comparison checklist. There is no more trusted brand in home security than ADT. Armorax DIY or Pro1 Professional Install? ADS Security Systems are professionally installed, where as Armorax is a DIY Alarm company. While some may find it more convenient to just have someone else do it…there is a lot to be said for the satisfation and savings of DIY. And it is likely much easier than you think. 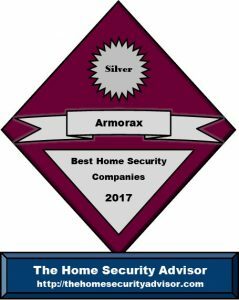 Armorax has an A BBB Rating They are fully accredited with the BBB , and have complied an impressive 88% positive reviews on the BBB reviews page. This translates to a 4.67 out of 5 stars! Armorax has a simple and straight forward pricing structure…which is shaking up the alarm industry. Armorax add on sensors are roughly half the price of professionally installed components. See how much you can save on add ons by calling 866-355-0640. With ADS Security, you will pay $249 for a basic system up front for installation. ADS Security add on sensors are also more expensive. There is little transparency on the site, but professionally installed sensors typically cost about twice as much as their DIY counterparts. This can result in driving the costs up hundreds or even thousands of dollars. ADS monitoring rates are also significantly higher- range from $42.95 to $59.95.…and require a 5 year contract. With a comprehensive interactive cellular monitoring rate of just $24.95/mo., Armorax is taking the alarm industry by storm. And they don’t stop there. They combine low,low monitoring rates with the top of the line, 2 Gig Technologies Go! Control system! In addition to the $249.00 installation fees, ADS monitoring rates can run up to $59.95. ADS Security Systems require an upfront installation fee, and charge higher monitoring rates for packages that require additional services. Ultimately costing more than twice as much per month on more comprehensive packages. ADS offers a full portfolio of security and home automation services. Comparable ADS Security service would cost an extra $250 up front…andabout $360 a year more. Even though many of us think of a security system as a burglar alarm system, ADS Security Reviews reveal that today’s customers are just as interested in the home automation capabilities of a security system. 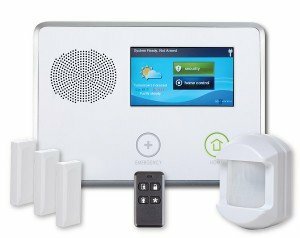 Following are some home automation features and benefits which home security customers might enjoy if they decide to acquire an ADS alarm system. Manage Thermostat – Control the temperature in your home from anywhere on the planet via an internet access. Want your house cozy warm or cool the moment anyone arrives home? Your ADS security system can be managed right from your smartphone with interactive programs. Command Household appliances – Could you imagine to be able to switch the coffee on from your bedside keypad? Or even start the pot roast from the office? Well. Now it’s possible to with Z-Wave home appliance modules on your ADS alarm. ADS Security Reviews indicate ADS Alarm owners want more. Observe Pets- Ever wonder what Spot does if you are away from your house? ADS Home Security video cameras enable you to remotely keep track of exactly what goes on while you’re out and about. Many surveillance cameras also accommodate 2-way interaction. Observe your pets…and much more. Check up on arrival of Latchkey Kids – Even without cameras, ADS security systems will offer you a text message as well as e-mail updates as soon as the ADS Home Security system is armed or disarmed- for example as soon as the kids get back home from soccer practice. 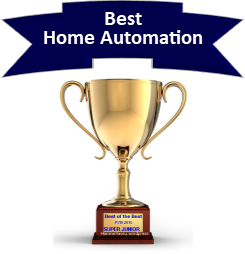 You can’t put a price tag on it…but, the number one benefit cited on ADS Security Reviews that many people are searching for when considering a home security and automation system is…Peace of Mind. They will rest better knowing the family is safeguarded …and that ADS Security enables full management of the property whether or not they are home or away. There are many important questions you must think about before buying an ADS Alarm. Considering that you are most probably getting a 3 or 5 year legally binding contract, it is very important to consider a handful of variables before signing on the dotted line. Do it yourself or Professional Install? One of the primary things to consider is whether or not you would like to set up the unit on your own or simply pay money for a professional installation. In the past, systems had to be hardwired directly into your house. An older ADS Security system might include drilling and cutting openings within walls, fishing wiring, and complicated mounting and considerable encoding. But…times have actually changed. Now, ADS Security is utilizing mainly wireless equipment. The technology has been significantly improved upon over the years to really make the products particularly simple to use… as well as easy to install. Consequently, more people are considering DIY alarms. ManyDIY alarm service providers simplified the installation process to allow even the most technologically challenged individuals to be able to set up the system. While ADS Security reviews sometimes point out service issues, greater than 90% customers found our best do it yourself alarms systems an easy task to install! While an expertly installed system from ADS Security would certainly demand less effort, folks who opted for one of our best DIY alarms saved a substantial sum of money compared to a professionally installed system. In the event you get an ADS Alarm, make sure to find out how seasoned the ADS Security installer is along with if they have previously been background checked and are undergone drug testing. Be sure to ask if the company has their own employees or just makes use Third party subcontractors. Making use of subcontractors is not actually automatically bad (they might even provide more past experiences than company employees) however be sure they should have actually gone through thorough screening prior to letting them into your home. Remember that ADS Alarm systems are unavailable in quite a few areas. This may be mentioned frequently in unenthusiastic ADS Security reviews. ADS Security buyers come to be aggravated should they transfer and have problems canceling their contracts. ADS Security Services are unavailable in many areas. When deciding on a security alarm provider that can help secure your family, we recommend seeking the best national alarm service company which will be able to help safeguard your property across the whole country. ADS Security is a regional provider. Nobody wants to be tied to a long-term contract in an area that is not where ADS Security services are not available…and then have to fight with them to get out of the contract. Before signing a long-term contract with ADS Security, you may want to check out some alternatives in our top-rated nationwide security system providers. If you already have an ADS alarm system, please share your experience and rate them in our ADS Security Reviews. Is ADS Security fairly simple to use? ADS Security burglar alarm systems have advanced considerably in the last decade. One of the great things about innovations with regard to technology is that companies place a good deal of emphasis on simplifying the user interface. No longer are the complex series of programs on archaic control panels. ADS Security employs slick user interfaces which are user-friendly and even guide the user with the aid of functions which include arming, disarming, bypassing areas etc..
Today most companies come with completely integrated interactive smartphone software accompanied by home automation capability that allows you supervise your household from anywhere on the planet equipped with computer access. Several systems are integrating voice control functions via their own equipment, Google Home or Alexa. These assist you to perform most popular operations by simply delivering a speech instruction. Although you might find ADS Security reviews may indicate problems with installations, service or maybe billing issues, you will not usually find one that says the ADS Security is hard to operate. Why should I choose ADS? Why should I choose ADS Security ? ADS is a southern based security company out of Nashvile, Tennessee that services 7 states in the southeast. They have been professionally installing systems for over 25 years and are a good,local alternative to ADT or Vivint, if you require professional installation. They are ranked 25th in the country by the Security Dealers Magazine and have and A+ BBB rating- despite the fact that their monitoring rates start at $42.95, their minimum installation is $249 and they require a lengthy 60 month monitoring contract. OFF – If you have disarmed the system, many of the alerts on the ADS Smart Security system are still active. Your ADS home security system will still chime to let you know when a window or door that is equipped with a sensor has been opened, Life and environmental safety systems are also active 24/7, whether the system is armed or not. Away– The away mode will activate any interior motion detectors as well as the doors and windows. Instant – You can eliminate the entry delay on your ADS Home security system by arming it in instant mode. Duress – A special duress code that will notify the ADS Smart Security monitoring center that there is a potential hostage situation. In the event that someone were to force you to disarm the system, this special code will trigger immediate emergency response. If you are already a ADS Smart Security customer, please feel free to share your experiences in our section for ADS Security reviews. Your ADS home security reviews will help other home security system buyers decide if an ADS Smart security system is right for them. 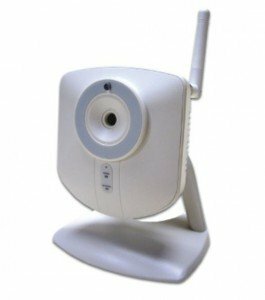 Does ADS Security require a landline for monitoring? ADS Home Security offers multiple monitoring options and does not require a landline for monitoring. To be sure, cellular monitoring is the best alternative for monitoring and ADA Smart security system. With no phone or cable wires that can be cut…it virtually guarantees that the alarm signal reaches the monitoring station. Additionally, cellular or cable connections are required for the ADS Home Security App. Even though some ADS security reviews might complain about the additional expense of a cellular connection, savvy owners are defraying ADS Smart security prices by eliminating the landline completely. Do I need a permit to install an ADS Alarm? Is it imperative to secure a burglar alarm permit to operate an ADS Security system? Strictly speaking, you don’t need a permit in the event the system is not professionally monitored. Having said that, because your ADS Alarm system will be remotely monitored with the aim of utilizing emergency response services, quite a few local towns will need a permit. In most cases, this will require a common application in obtained from your neighborhood law enforcement or sheriff’s department along with some sort of moderate fee. You will more than likely also be expected to provide the name, address and phone number of the security system company, in addition to monitoring station, if the two businesses are actually different. And where permits will be required, almost all municipalities will stipulate a 1 time charge to register an individual’s system, although many cities and towns demand an annual renewal too. When it comes to cities with high burglary and false alarm rates, failure to register may bring about a refusal to respond to places that don’t have any an alarm permit…although this is certainly fairly exceptional. However, you might be responsible for some other penalties and fees in a case where police, fire as well as emergency medical support might be sent to a home without a permit located in municipalities where one is needed. No matter if a licence is generally purchased, most towns will definitely assess fees with respect to frequent false alarms. Most cities have policies put in place in which the initial one to two dispatches should not demand penalties. While most ADS Security Reviews will neglect to mention it, after that fines in most cases increase from $25-50 for that first enforceable offense…to $100-200 for succeeding repeat offenses. Therefore, it cannot be overemphasized that ADS Security system customers contact their community police department, find out what permits are necessary, acquire a full comprehension of the local policy and be sure that they consider crucial simple steps in avoiding false alarms. Will a pet trigger the motion detector? ….can be a significant part your home security system. They’re a method to protect a strategic area or an entire room. Your Honeywell motion sensors will screen pets under 40 pounds out if they’re appropriately positioned. If you’ve got a larger pet…your ADS home Security technician about detectors that can screen out pets up to 80 lbs. If you’ve got a larger pet that can’t be confined from regions covered by motions, your tech can create a “pet alley” which will screen out activity below a specified height. Ask your ADS alarm tech for details. And you may want to think about an ADS Alarm glass break detector as another option. If you have an ADS alarm system, please share your experiences in our ADS Security reviews section. While most ADS Security Reviews neglect to mention it, the majority of signals from an ADS Security monitoring center are due to false alarms. As a result, the large percentage of municipalities enforce fines to properties when they meet or exceed a particular amount false alarms. To prevent this from impacting you, listed here are some recommendations for preventing a false alarm with your ADS Security system. Following are a number of ideas to help you steer clear of false alarms. • Be certain everyone knows how to disarm the alarm system. Your home security system will have a master passcode, along with a number of additional individual secondary codes that can be programmed into the system. Try to ensure that everyone knows his or her code and learns how to disarm the security system. • Make sure that everyone also has learned the security password. If there is an alarm, the central monitoring station is going to contact the home and request the security password to verify that the man or woman answering is an authorized party. If the individual picking up the phone call is not able to deliver the appropriate security password, the authorities will likely be dispatched. • Make sure that windows and doors are completely closes prior to setting the system. A door that’s been left slightly ajar could be blown open while you are away and set off the alarm. • Certify that all detectors are set up correctly properly located. Motion sensors must be attached at a height of 6’ and placed away from the fans, heaters, fireplace and air conditioning units. • Give some thought to items that would likely set off a motion detector. In addition to the possibility of pets setting off the system, AC units could potentially cause fluttering curtains or plants and even helium balloons can travel about your home by means of air currents. Confirm they are strapped down far from motions. • In a perfect world, pets really should be restricted to areas away from motion detectors. If this is simply not feasible, ask about “pet friendly” or “pet immune” detectors. They will screen out smaller sized pets under 40, 50 even 80 lbs. Motion sensors could also be set up to provide pet alleys in which pets might move freely about. The alternative choice is to utilize glass break sensors as a substitute for motions. • Be sure to swap batteries when needed. The vast majority of ADS Alarms make use of Lion batteries that have at at a minimum a two year estimated lifespan. Your ADS Security System will almost always warn you as soon as batteries have gotten low and additionally warn you should there be roughly a month of functional life. It advisable to acquire surplus batteries and have them readily available so you can replace them as soon as possible. Your system can even report to you should there be any other issues with sensors. If you have a system fault warning, conduct a status check to check out the sensor. Contact ADS Security in the event of a problem with a sensor. Keep your user ADS Security manuals/codes/passwords in a very protected chosen area in which they can be consulted if necessary. In the long run, the best way to avert false alarms is to use your system routinely and make certain that everyone understands how to operate the system. Is ADS Security available to renters? Does ADS Security install alarms for apartment owners? Though they don’t clearly establish that they will not, almost all alarm providers that provide professional installation call for owning a home. When you’re renting a house, condominium or perhaps an apartment, you must call them directly and will eventually be instructed to provide paperwork regarding property manager acceptance. Should you be leasing, you can refer to our Ultimate Guide to Apartment Security Systems – Best Alarm Systems for Apartment and Renters. How Much Time Should It Require for an ADS Alarm to Respond to a break-in? ADS Security will ordinarily employ a 30-60 second entrance delay with regards to your primary entry ways in order to allow you time for you to disarm alarm. ADS Home Security systems can typically be put on “Instant” function if everyone is home. Typically the alarm goes off following any delay in the event the system is not disarmed. ADS Alarm monitoring center response times usually are determined from the time an alert is acquired to the time the dispatcher calls your house to verify the signal. This period really really need to be inside a minute. In cases where no person answers at the household, normally cases, they’re going to try to get hold of everyone on the emergency contact list …and they will send the authorities. 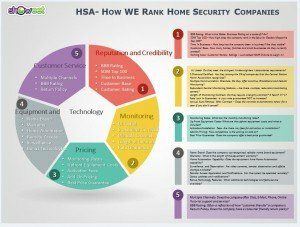 As you may find ADS Security reviews which will complain about substantial response periods, almost all the most effective home security services actually do a first rate job – as long as things are working correctly. ADS Security Services suggests that your chosen ADS Alarm is tested on a weekly or perhaps monthly basis to assure the system and communications are actually performing effectively. Nationally, the normal response period by the police is approximately 7 minutes, but this can fluctuate tremendously. If there is an electrical interruption, does the ADS Security system still operate? The ADS home security system comes with a battery backup system that can provide power to these units in the event of an electric power outage. Nearly all ADS Security reviews will specify this as a typical 24 hour power supply, but this can vary somewhat based on the key pad screen, individual options together with the quantity of equipment. The ADS Security system will likely beep to alert you of the fact that system is running on back up electrical power and remind you to plug in the passcode. The ADS alarm system can also alert you through text message or e-mail if you have established remote notifications. For those who already own ADS Security and have data on their real-world ADS Alarm response times, please don’t hesitate to express your knowledge in our customer ADS Security reviews. Let’s face it, safeguarding your ADS Security system. In this ADS security review, we wish to share some basic steps you can take to secure your house from burglars. 1. Eliminate hiding places by keeping bushes cut near entryways and along low lying windows. 2. Make sure that the outside is well lit up. Motion floodlights for the boundary are a cost-effective deterrent. 3. Make the home appear inhabited. Put lights along with electronic devices on random timers to make it appear as if somebody is at home. Have a next-door neighbor park their vehicle in your driveway. 4. If you are going on holiday, suspend paper and mail shipment, and make strategies to have the yard trimmed. 5. Make certain expensive products are not noticeable from the outdoors by drawing the blinds. Get a home alarm system. You will sleep much better with the knowledge that your home is protected. Once you have reviewed ADS Security reviews, you will wish to see how ADS Alarm systems compares to the competitors. Thank you for visiting! Please feel free to share our ADS Security Reviews , below or follow us, above. If you or someone you know has experience with ADS Security or has an ADS Alarm, we hope you will share that experience in our Customer Reviews.